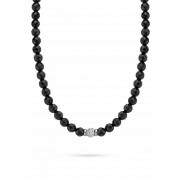 Ti Sento present a striking black pearl style necklace. Pearls are a timeless classic with the ladies. 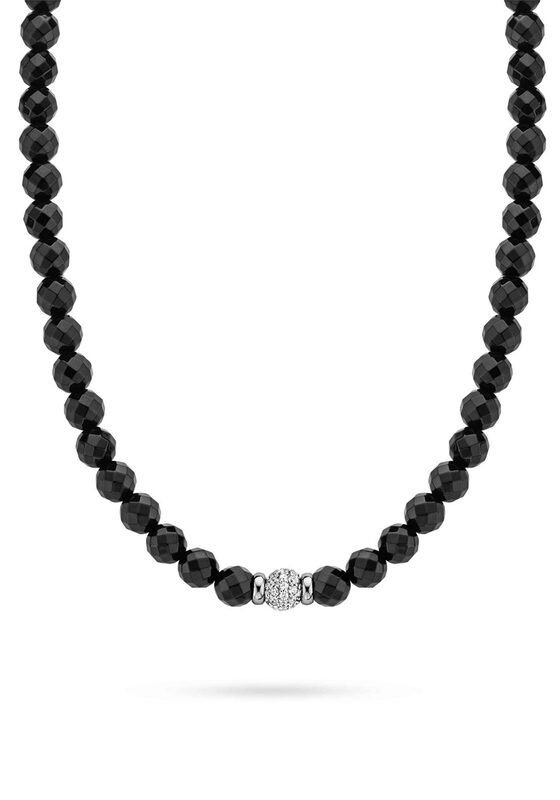 This fabulous necklace features a single cubic zirconia stone surrounded by black onyx on a rhodium plated sterling silver chain. The chain measures 42cm in length.